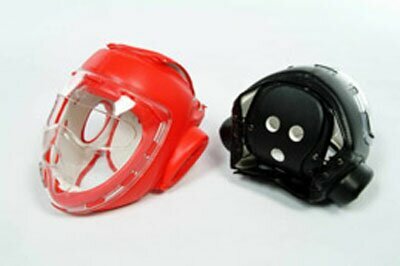 Designed to protect head during fight with partner in sports like taekwondo, karate, kick boxing or for sparrings with use of light foam weapons. We offer also long and short weapons: spear or naginata, long staff or bo staff, sword or katana, dagger or wakizashi, knife or tanto. Remember to wear eye/head protectors when practicing.